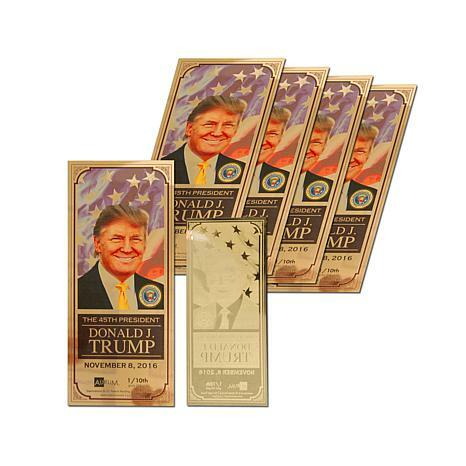 Commemorate Donald Trump's historic election as the 45th President of the United States with this 24K gold Aurum collectable note. 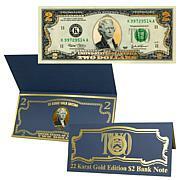 A thin sheet of 1/10th gram 24k gold, this Aurum comes printed with full-color text and graphics. It's the perfect collectible and conversation piece for any supporter of Donald Trump. Go for the gold! 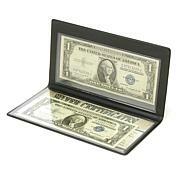 This obverse-only collectible note is not issued by the United States Mint nor is it legal tender. The precise quantity of gold is verified through testing by the manufacturer and by independent laboratories. 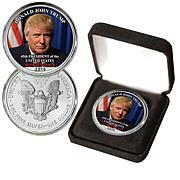 Obverse: Image of Donald Trump in front of US Flag, Presidential Seal, "THE 45TH PRESIDENT", "DONALD J. TRUMP", "NOVEMBER 8, 2016" and "1/10th gram 24k gold"
I am a coin collector, and collect unusual items that you can't find. This will be a nice addition to my coin collection. Nice to have the 45th President in gold. Beautiful. 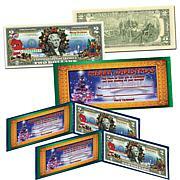 Collectible Hope to get more and that they will rise in value. Showed delivered but I never revived it. Guess no more purchases.